Cover up thinning hair with this natural product. Thanks to a relatively new product called Organin, female hair loss can be easily concealed. Organin is formulated to help men and women with thinning and balding hair. 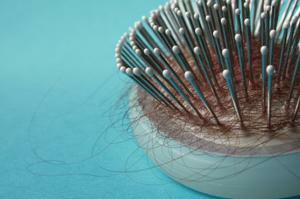 Women who experience hair loss know just how frustrating it can be from all standpoints. In addition to dealing with a sudden and unexpected physical change, women must try to pinpoint what exactly is causing the loss of hair to begin with. This is challenging, because hair loss can be attributed to everything from stress and poor diet to illness and hormonal imbalances. Once a cause has been determined, the next step is obviously to treat the problem and hopefully encourage the hair to grow again. One of the newest products on the market is Organin. Formulated to diminish the appearance of thinning hair, it has a consistency unlike many other similar products. While some hair growth and thickening products are thick and creamy, Organin is a fine, almost powdery substance made of natural keratin fibers that feel light to the touch. Despite its airy texture, it is said to create the appearance of thicker, fuller hair immediately after application. According to the company, it works by essentially binding itself to any existing hairs on the head and forming a full layer of "hair" above the scalp. This creates the illusion of genuine hair. In order to appear completely natural, the product does not have a glossy or shiny element after application. It is also non-toxic and dermatologist-tested. The product is temporary and washes out with each shampoo. Anyone can use Organin, including women who are battling hair loss for any reason. It is important to note, though, that the product does not actually restore hair that has been lost. It simply covers up bare areas and creates the appearance of hair. Another important note in the Organin female hair loss connection is that many other hair loss products that contain fibers to cover the scalp can be irritating. Many individuals report that Organin is one of the few that does not irritate even the most sensitive skin. Be cautious and conduct a patch test prior to applying the product to large areas of skin. Wash, dry, and style your hair as usual. Sprinkle Organin directly from the container onto the thinning or balding areas until the scalp is no longer visible. Using your palm, firmly but gently pat the area down to encourage it to settle onto the scalp and blend with your existing hair. Apply a small amount of hairspray over the area to "seal" the product for the day. Organin might be visible on clothing. Consider Organin a supplement to your medically advised treatment for hair loss. It is safe to use in conjunction with them and can provide you with some small peace of mind when the frustration of slow-acting medication sometimes seems overwhelming. As with any product, though, it is always wise to check with your physician prior to use if you have any concerns. Organin is labeled hair- and skin-safe, but anything can cause irritation. If this is the case, immediately discontinue usage and contact your physician if you experience continued discomfort. Purchase Organin online at Folica. Additional retailers may become available as the product grows in popularity.